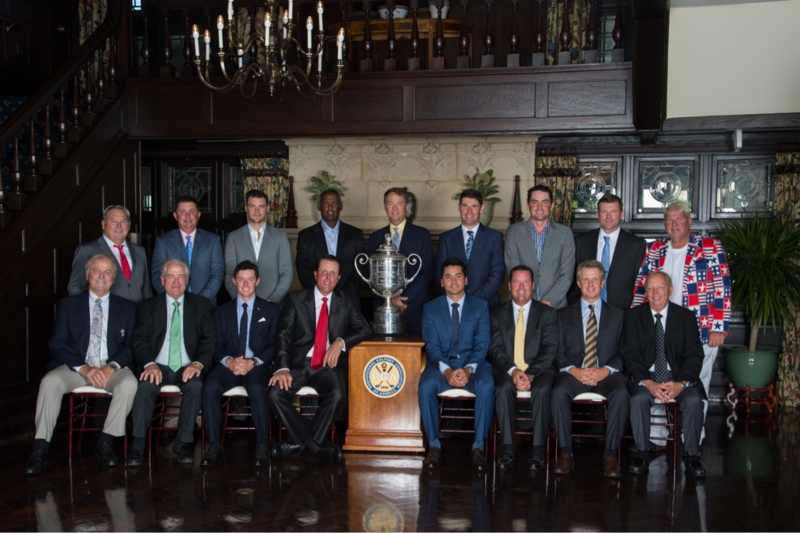 Can You Spot John Daly in This Picture From the PGA Champions Dinner? All the past PGA Champions, dressed in their finest evening attire, took this photo with the Wanamaker Trophy and if you look close enough you might be able to spot the 1991 champ. One of these things is not like the other. Still can’t spot him? He’s the bleached blonde on the far right wearing an awesome red, white, and blue jacket. There was no sign of Diet Coke and Cigarettes on Jason Day’s Champions Dinner menu so we can only assume Daly had to provide his own.